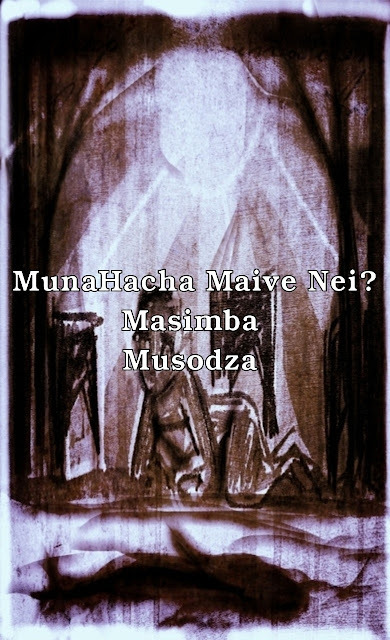 Masimba Musodza Brings Sci-Fi to Shona: Introducing MunaHacha Maive Nei? Zimbabwean-born, UK-based author, Masimba Musodza, is introducing Sci-Fi to the Shona language with MunaHacha Maive Nei?, a tale of “mermaids and toxic waste”. Musodza, author of The Dread Eye Detective Agency novels, hopes that this novel will generate “more than academic interest”. MunaHacha Maive Nei? is currently only available for Kindle, but notably so because it is also the first Shona novel to break into the Amazon Kindle market. We hope that this development opens the door for other African languages to cross this threshold. UK-based Zimbabwean author Masimba Musodza has written the first science fiction novel in ChiShona, the native language of the Shona people of Zimbabwe and Southern Zambia. And it tells the story of native beliefs clashing with corporate mad science. UK based Zimbabwean author, Masimba Musodza, has ushered in a new era in Zimbabwean literature by publishing the definitive first science-fiction/horror novel in ChiShona and the first in that language to be available on amazon Kindle. MunaHacha Maive Nei weaves issues of greed & corruption, sustainable development, international corporate intrigue and concerns around bio-technology. Chemicals from a research station conducting illegal experiments begin to seep in to the local ecosystem, causing mutations in the flora and fauna. When a child is attacked by a giant fish, the villagers think it is an affronted mermaid-traditional custodian of the ecology- and seek to appease it according to the prescription of folk-lore. However, the reality of what is happening soon becomes evident, a reality more terrifying than any legend or belief.